Classes and Collaboration: In Broadcast Journalism we have been learning the seven elements of newsworthiness and talking about professionalism. The media specialist also began a digital literacy unit with the 6th grade keyboarding classes. Three other classes visited the media center this month. Our book drive collaboration with the community has brought in around 200 books so far. Though this is not enough for every student, it is a good start. More details soon on how we will distribute these. Our thanks to The Worship Center of Spartanburg and Salmond Library Services for the majority of the donations so far. End of the Year procedures: I have begun library inventory and will continue until the last day of school. 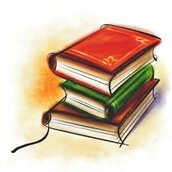 The last day for students to check out books will be May 12 and all books will be due back the next Friday, May 19. If teachers need books for PBL or Read to Succeed past this time, that is ok. Just please return all books not being used and all student books by May 19. I will begin sending home printed versions of the overdue list this Friday. Students who owe for books will need to pay their fines prior to the carnival. 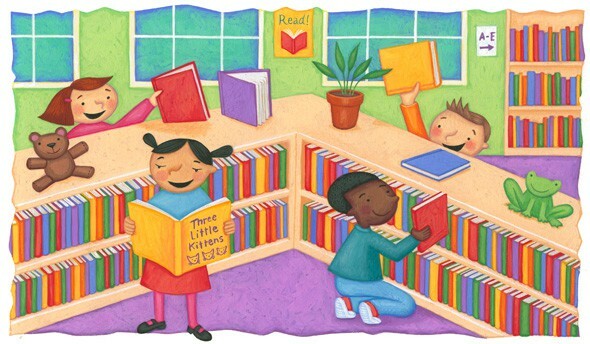 I will be sending a survey out to teachers soon about their views on the library. Your feedback will help me make decisions for next year. Book Club: Our book club made either paper or video reflections of our favorite books we read this year. A few have been shown on the morning news. Genre Pizzas: So far I have about 30 students signed up for the Reading Celebration Pizza Party May 17. Please let me know soon how many students you have if you haven't already. A few stragglers is fine but I need an approximate head count right away. We checked out 377 items! Students viewed or listened to 45 ebooks or audiobooks. 775 individual students visited the library! Most signed by their authors! Students who completed their reading genre pizzas gather for food and fun!